The buzzword for what we’re seeing from a number of new media outlets — including former Washington Post blogger Ezra Klein’s new Vox site and former New York Times blogger Nate Silver’s new FiveThirtyEight site — is “explanatory journalism.” As Roy Clark pointed out in a recent piece at Poynter, the idea that good journalism should be explanatory isn’t new, and one of the sites that has been focusing on that for awhile now is Syria Deeply, which recently announced plans to expand into other topic-based sites. Although some aspects of the site are similar to what Klein seems to want to do with Vox, in the sense that it tries to give readers a deep understanding of Syria’s civil war and the context behind it, in many ways Syria Deeply — which former foreign correspondent Lara Setrakian launched in 2012 after quitting her job with ABC News — is more like what First Look Media is focused on: namely, setting up sub-sites or “magazines” that use experts to approach a specific topic. 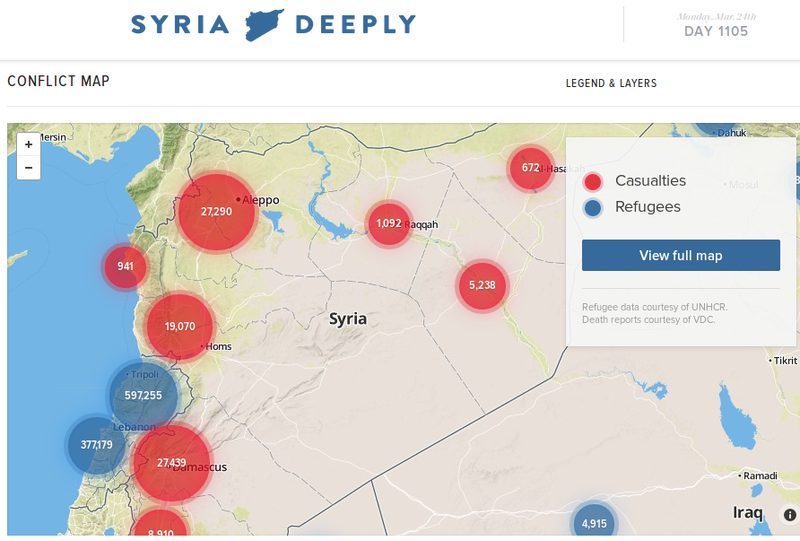 With just two staff writer/editors, Syria Deeply isn’t a huge operation, and that’s in part because it isn’t part of a giant media entity like ESPN (which owns FiveThirtyEight) or Klein’s employer Vox Media, which has raised almost $80 million. But the site uses a host of freelance writers, many of them professional journalists and Syria experts, to round out its coverage. In an earlier post about Syria Deeply, I described Setrakian’s effort as part of the ongoing “unbundling” of the news and journalism business, something that I think is likely to accelerate. The traditional model of aggregating totally unrelated subjects and content of all kinds into a single container called a newspaper has — as tech analyst Ben Thompson noted in a recent post — arguably becomes unsustainable when readers can choose the topics they want to focus on or devote their time to from a never-ending smorgasbord. The Syria Deeply founder, who has been doing a research project at Columbia University’s Tow Center for Digital Journalism into the benefits of “single subject” sites like her own, told the Nieman Journalism Lab recently that she is committed to this approach. Through her company News Deeply, she is planning to launch a new offering that will be similar to Syria Deeply but will focused on news about the Arctic, to be called (not surprisingly) Arctic Deeply. In a piece she wrote for Huffington Post last year, Setrakian said that she always saw Syria Deeply as a kind of R&D effort that would eventually spawn further single-subject outlets — such as Pakistan Deeply, Drug War Deeply or even Debt Crisis Deeply. Whatever the new sites might be, Setrakian said that she is trying to focus on growing News Deeply slowly, and is also looking for sponsors. The main sponsor for Arctic Deeply is the World Policy Institute, a New York-based think tank.